Last the Distance at Breakneck Speed. 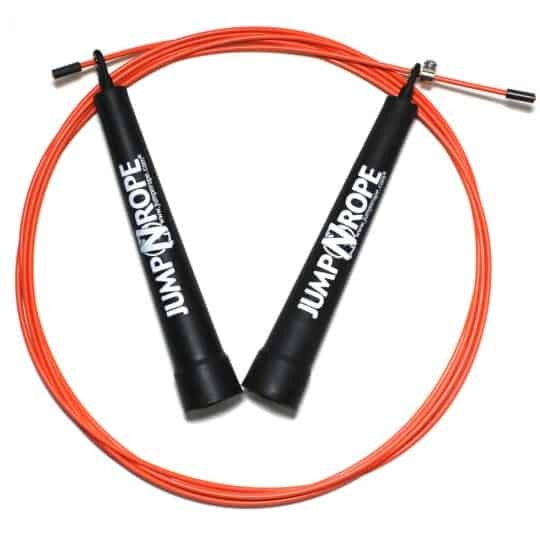 The main difference between our R1 Speed Rope Coated and other brands’ rope has to do with the material and quality of the pieces used to construct the rope. First, the end swivel on our rope is made of a durable, flexible, and shatter-resistant plastic material. This keeps the handle light, yet very durable. Other brands’ rope uses a metal swivel that often can come unscrewed and provides more weight than is necessary. The other main difference has to do with the wire cable itself. 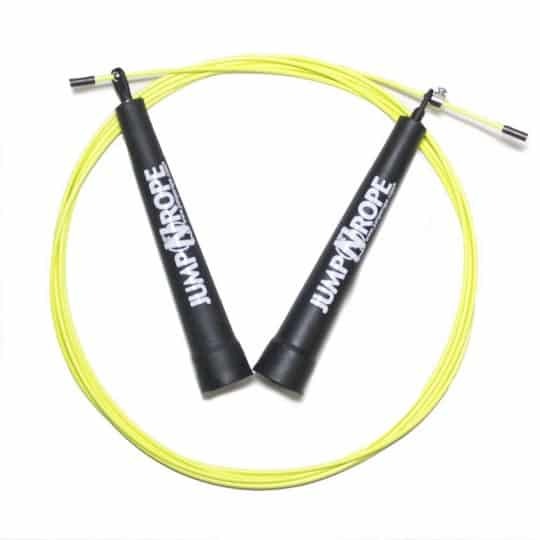 We use a very durable nylon coating, which is more expensive, and a more rigid speed line that makes the rope faster. Other brands seem to use a more flexible wire underneath a vinyl coating which often leaves the ropes kinked and curled. 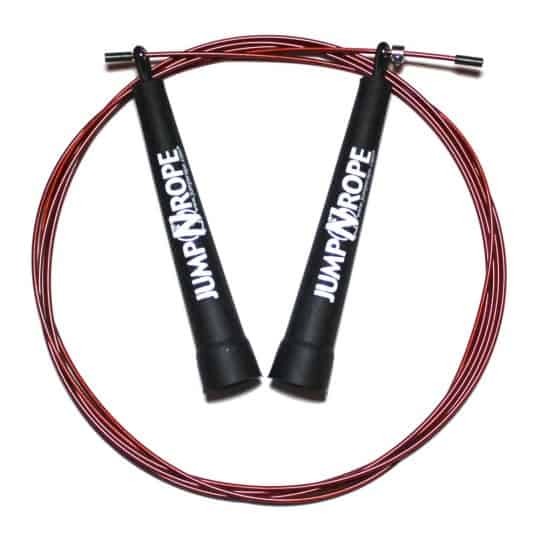 Designed and patented by 5-Time World Jump Rope Champion, Molly Metz, the R1 Speed Rope has REVOLUTIONIZED the sport of jump rope with its ultrafast dual-bearing, pivoting-eye technology. 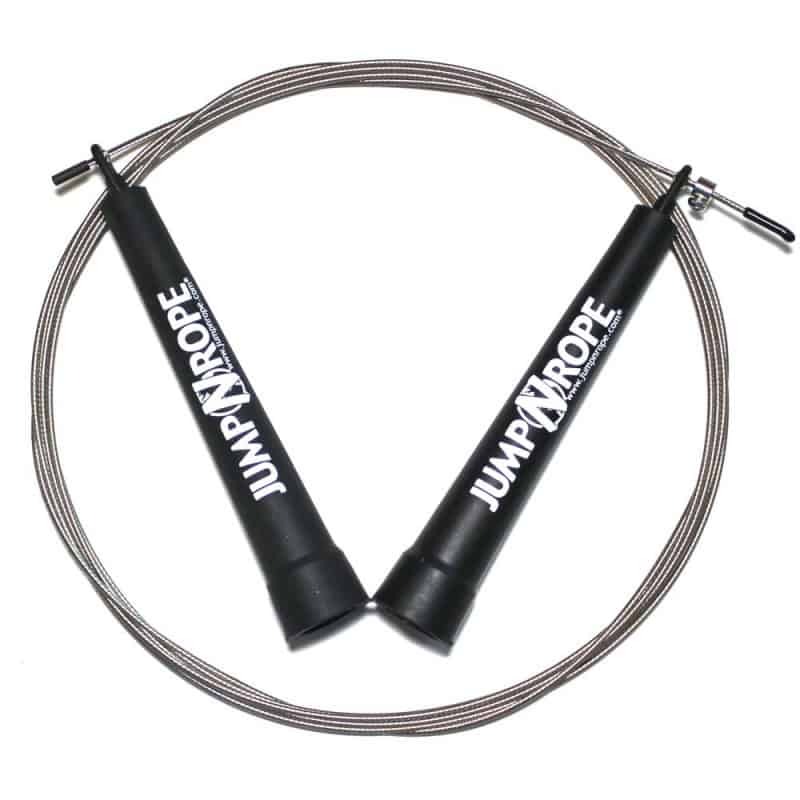 Several WORLD RECORDS have been shattered by jumpers who have used this rope, and many elite CrossFit athletes have found this to be their rope of choice at the CrossFit Games. 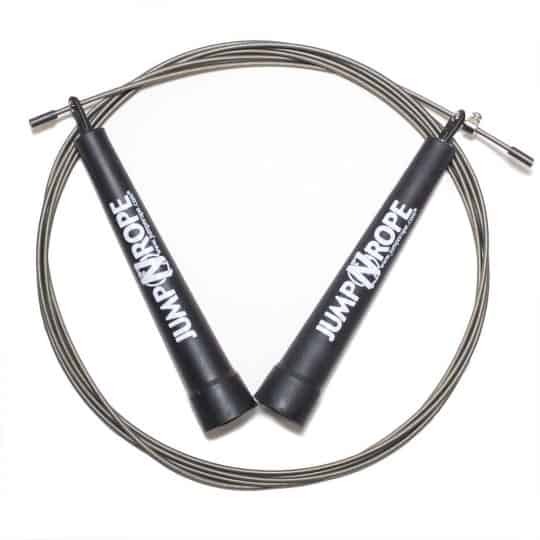 This rope is perfect for jumpers who are looking to achieve double unders or triple unders, and is a crowd favorite of CrossFit athletes worldwide. 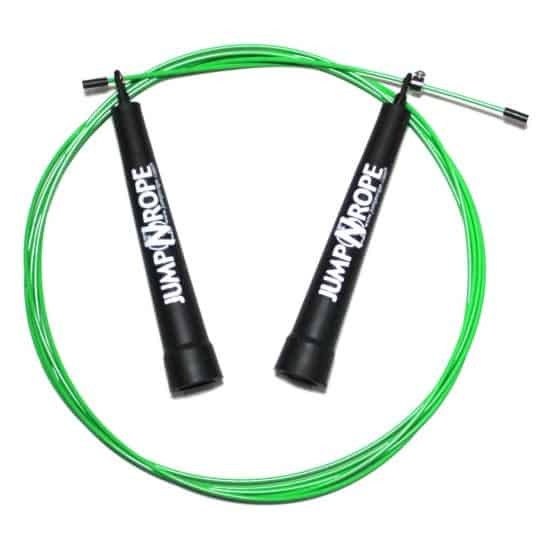 The additional weight provided by the nylon coating gives the jumper a little bit more “feel” to the rope, and gives more rhythmic stability to jumping. 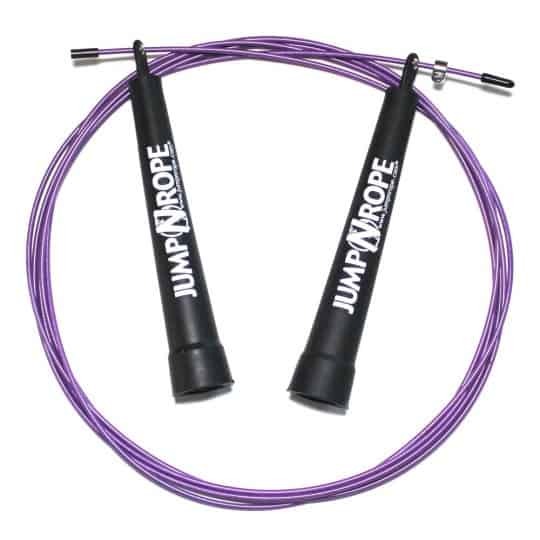 The patented bearing system in the handles makes them virtually friction-free, and the pivoting eye allows for ANY angle of hand motion, making this rope feel effortless at times. 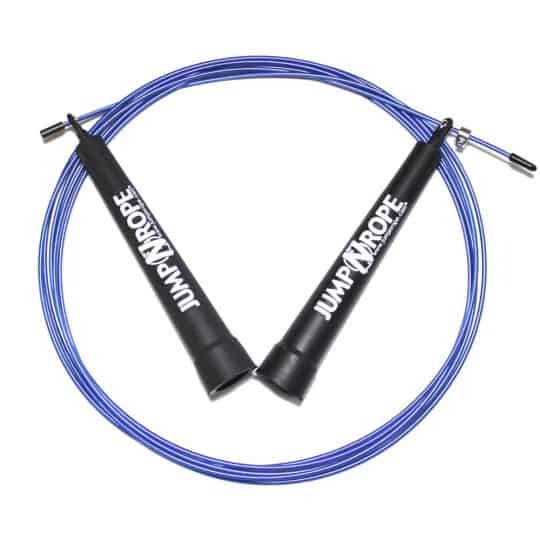 Slightly heavier and trades off a little speed for greater durability compared to the R1 Speed Rope Uncoated. Provides more feedback to the user. The cable is made of a durable nylon-coated steel, and the handles are made of a ultra-durable nylon, making this rope suitable for indoor use. Not recommended for outdoor use. Outdoor use decreases the longevity of this rope and can cause fraying. The speed rope is good for speed skipping and the rope responds differently to the nylon rope so make sure you leave ample length. The raw cable is problematic as the tightening bolt tends to rotate off the rope and fly off; this problem is not existent in the covered cable.